Hi i have an online store with paypal checkout i have set my postage rates to so that i should charge £4.00 for postage for orders under £50.00 or free over £50.00 however i have just recieved a sale for under £50.00 and although the £4.00 charge is showing in the orders section of yola it has not been recieved with the payment. Have you added a weight to each product in your inventory? Products without weights are treated as virtual products (digital prods) and therefore have no postage estimates added at checkout time. Thank you for your reply, yes all products have a weight (the weight is the same as the price for the postage reasons as i offer the free post for orders over 50.00 and this was the only way i could manage to do it. OK screens of your shipping and postage would be the first steps. So if you can print those two we can have a look. To do a dummy site if you send me an email I'll give you the login and you can create a one page with the relevant features mentioned. Nick have you seen the post at the bottom? Gop is very knowledgeable with Online Store inquiries. In addition our team is happy to work with you. Please feel free to submit a request to support here or proceed with Gop and between us I'm confident we will get the shipping issue resolved with your Online Store. I think the problem is that you have two shipping names. You should only have one name with the two different weight divisions. Use your Royal Mail as an example as is then select New Method and add the same specs as your Free. 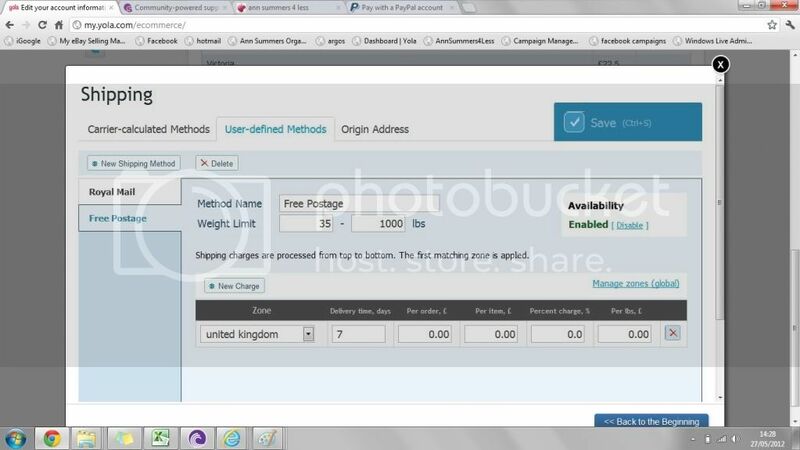 Now you will have the two shipping charges within the one shipping name. I think that it may be important to place your low weights first as from what I understand it moves from low to high. Got it. The penny has dropped. You are using a Sandbox with PayPal? Wondering if PayPal is smarter than we think. Is your address of your store the same as the destination address? Wondering if the intelligence is saying it's going to the same place as it was despatched from. Therefore zero postage?? OK. Then it's not proximity. The sandbox is as you say a testing ground that goes through the whole process without charging an account, PayPal allow you to use this for the development aspects. 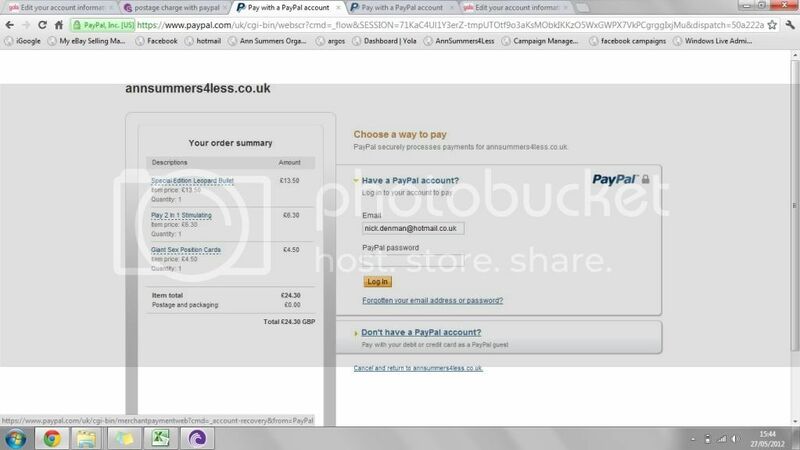 You can test any parameter and see the effect on the PayPal account. I think Google also have one so that may be a thought for testing as well. .
PayPal don't make any decisions generally on charges it's all dictated by the data sent across to them. So even if the invoice is showing #4 for postage that isn't being sent to PayPal for their billing. Nick can you do a screen shot of your zones please? I want to duplicate this and see what I can trace out. Another thing to check Nick is the "Tax & Shipping" on your product(s). This should be set to "Use global Settings" and not "Fixed Rate" This is a long shot but worth checking as well. I bet this is a really simple fix. I feel bad that I can't hit on it presently. Finally: Are you using Standard PayPal or PayPal Express for the gateway system? 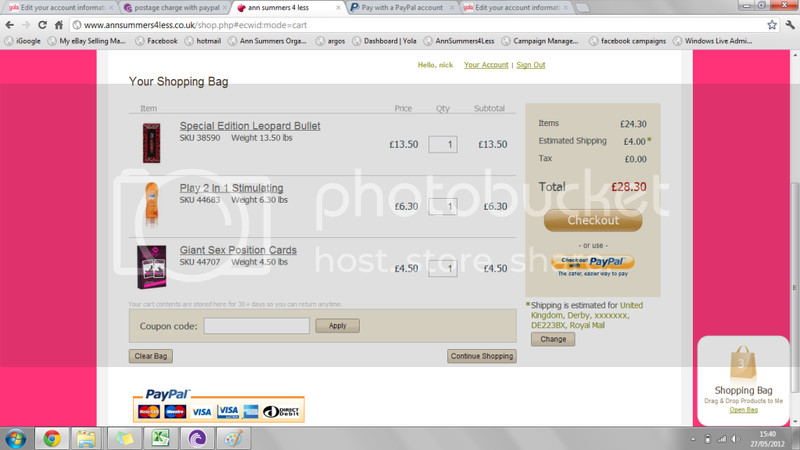 You said that PayPal haven't a shipping price in that screen. That's because at that stage they don't have a ship to address. That's completed when the paypal account is logged into. It's part of the shortcut system of PayPal. 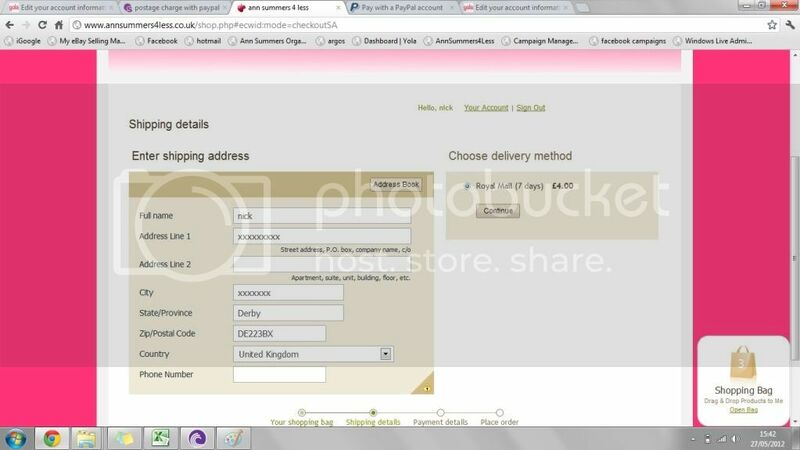 Whereas if you go via a card payment then the shipping is estimated by entering the address specifically. If you check the records of the transactions in Ecwid you will be able to see what was charged for and it's probably worthwhile checking that out. This order is in the "Queued" status, because the order total and the amount actually paid do not match. Please check this order in your PayPal Admin Area for possible issues. Getting there it seems Nick. Have you logged into the PayPal Admin area to check what they are reporting? There may be a clue as to what they need vs what they are getting? Is the site annsummersforless.co.uk the site you are working on for this issue?